Your e-mail address will, of course, be unique. For Faculty, Staff and students passwords are set to jj1234 where 1234 is the last four digits of your social security number or assigned student ID. To access your account, you will type in your username and password at the appropriate prompts. At any time, you have the option of directly changing your assigned password (Note: your password only). If your password has expired then please contact the DoIT helpdesk at (212) 237-8200. You can change or reset the password for your email/network account, by visiting the Password Reset site. Registering for Password Reset is quick and easy and will alleviate the need to contact the Helpdesk when your password expires, you’ll be able to reset it yourself. Just go to the Password Reset site and follow the prompts. If you encounter any issues registering your account please contact the DoIT Helpdesk at (212) 237-8200. Students can also stop by the Main Lab, room 1404 North Hall during regular business hours for assistance. The DoIT Helpdesk is open 7 days a week Monday – Friday 8 AM – 10 PM, Saturday & Sunday 8 AM – 6 PM except public holidays. Your mail can be read from any computer connected to the INTERNET. You can use the e-mail system from home, through American Online or any other INTERNET service provider. When not in use, it is important to exit your e-mail account. Email accounts are available to all John Jay students, faculty and staff. The email system runs on a web based platform, which means it can be accessed from anywhere in the world by clicking here (for students, faculty and staff), and entering your account and password. College email utilizes Sun Microsystem iPlanet, virus protection and spam filtering. As of September 2006, there are approximately 15,000 student accounts and 2,000 faculty and staff accounts. Storage space for maintaining emails is 4Mb for students (to be increased to 16Mb through Student Technology Fee funding), and 500Mb for faculty and staff. Since 2004, email accounts for all incoming and current students are automatically created under a procedure called Universal Email. 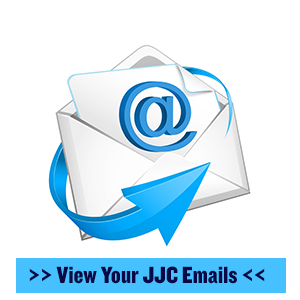 All students are encouraged to use and maintain their John Jay email account for important correspondence from and within the college community. Faculty and staff email accounts are also created automatically when hired. If you have any questions or problems with your John Jay email account, please contact the DoIT Helpdesk at 212-237-8200 or helpdesk@jjay.cuny.edu. Note: Please submit requests for global emails to the communications office and universal email for students to enrollment management.